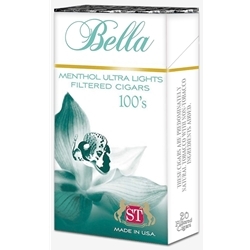 Bella Menthol Light Filtered Cigars are available in Box 100's and packaged 20 cigars per pack, 10 packs to a carton for a total of 200 premium filtered cigars. Very mild filtered cigars. Good taste.